Les Distributions Malbert is a transportation company specialized in non-standard oversized loads based in Saint-Georges in the Beauce region. We offer truck transportation for oversized wood, steel, granite, machinery and recreational vehicle loads, but also for other products requiring flatbeds in the Beauce, Québec and Canada-USA. For your non-standard or oversized transportation needs, the team of professionals responsible for the good reputation of our company provides a reliable, fast and efficient service. The company is especially proud of its experienced drivers, its dedicated customer service team, the quality of its fleet of trucks and platforms and its rigorous maintenance program. Its trucks, equipped with satellite-tracking systems, provide simple and transparent real-time monitoring. 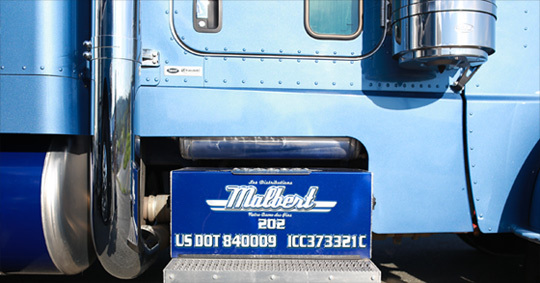 For your oversized goods truck transportation needs, you can trust Les Distributions Malbert.